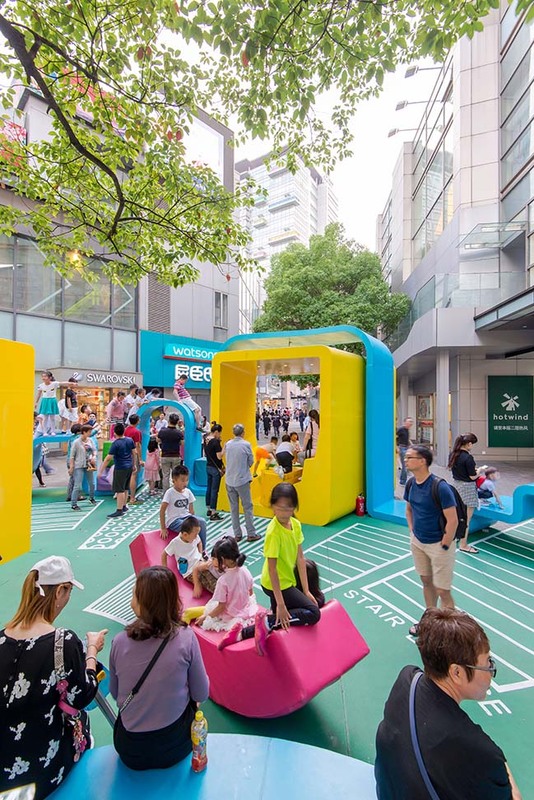 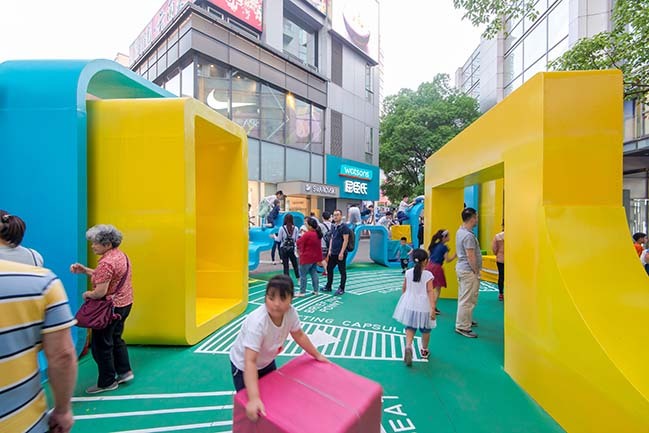 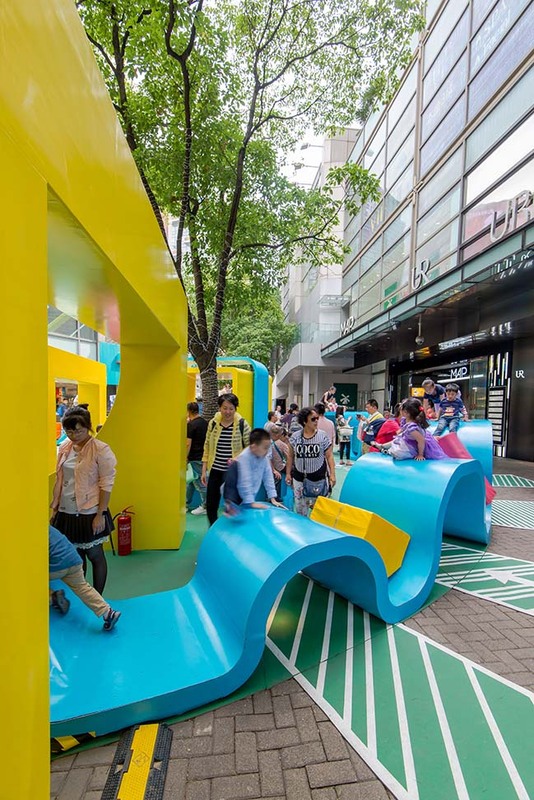 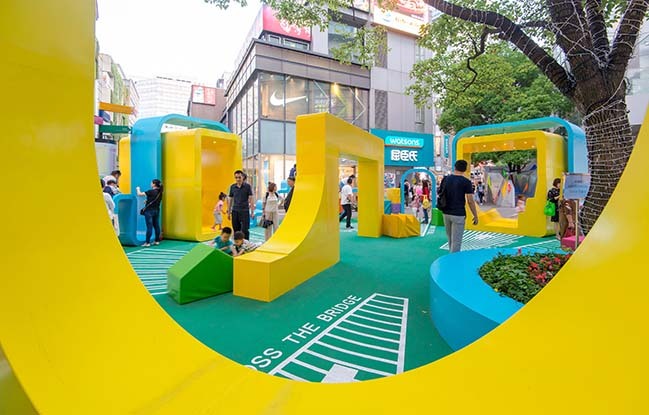 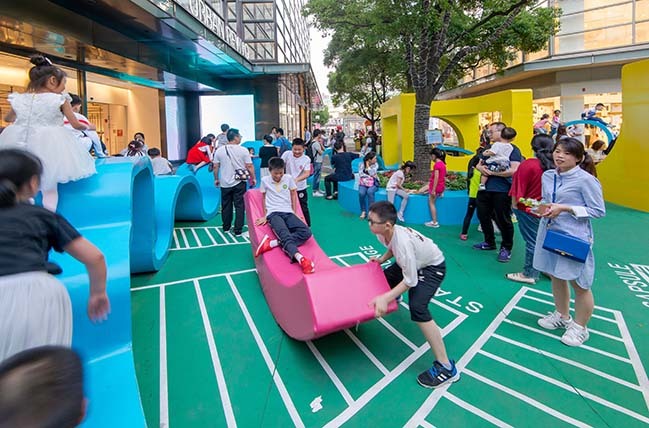 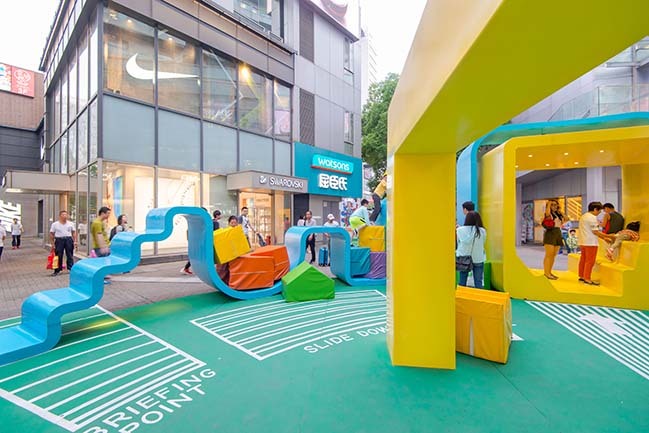 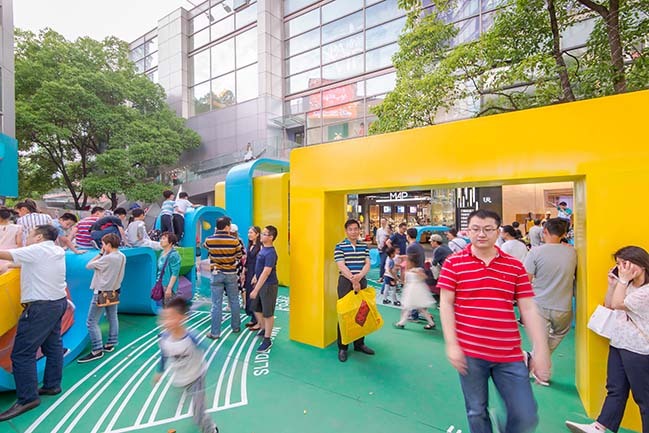 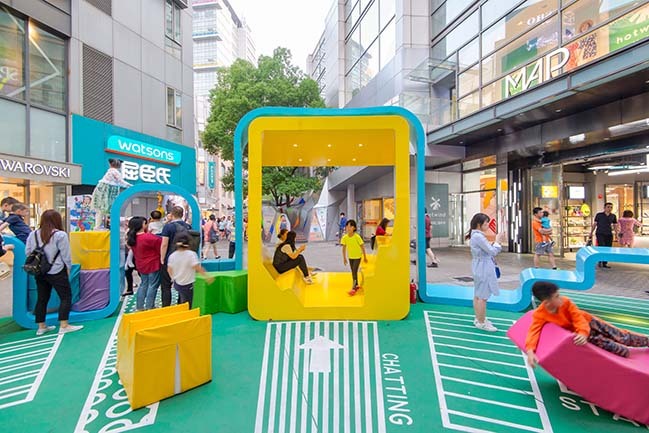 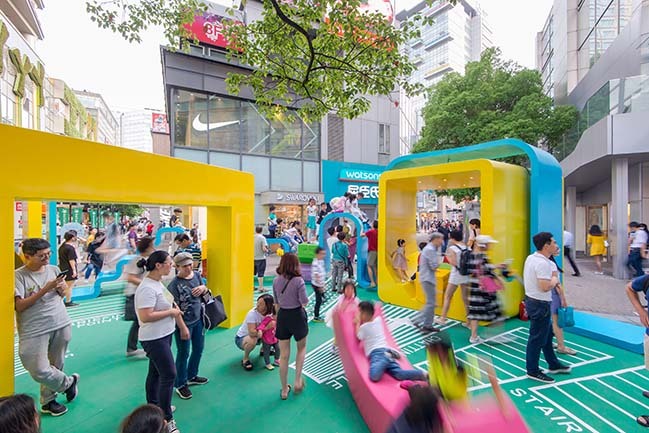 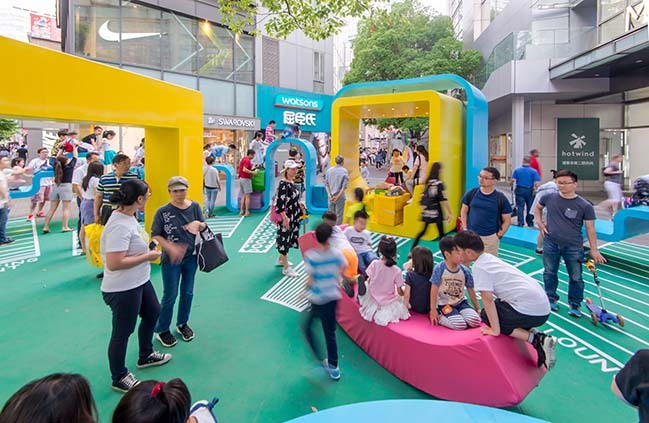 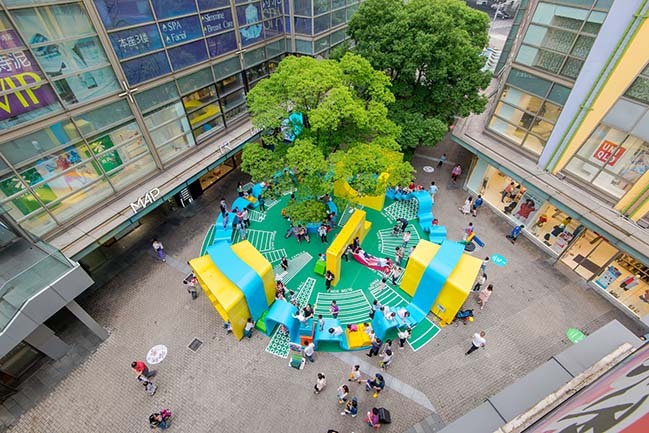 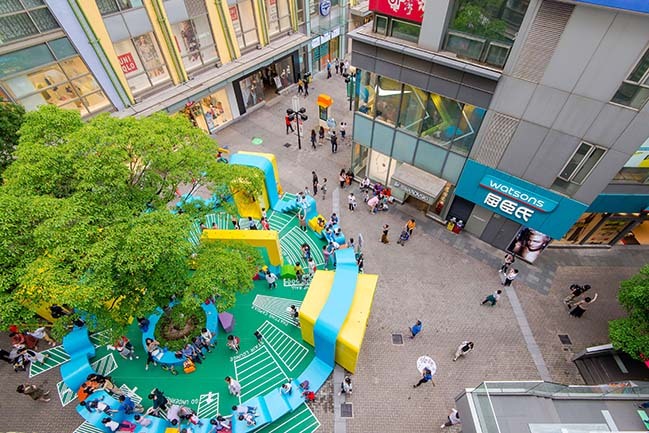 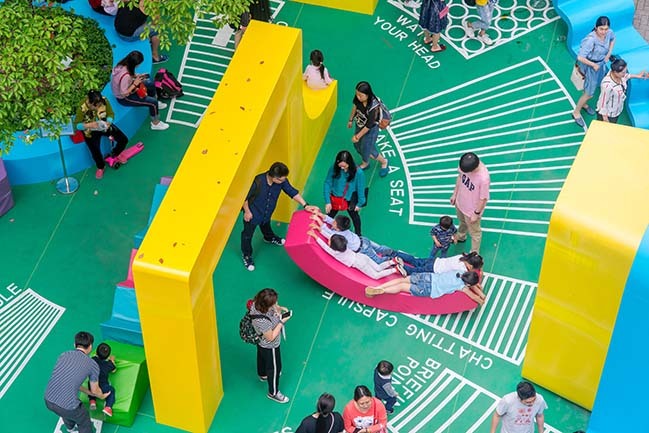 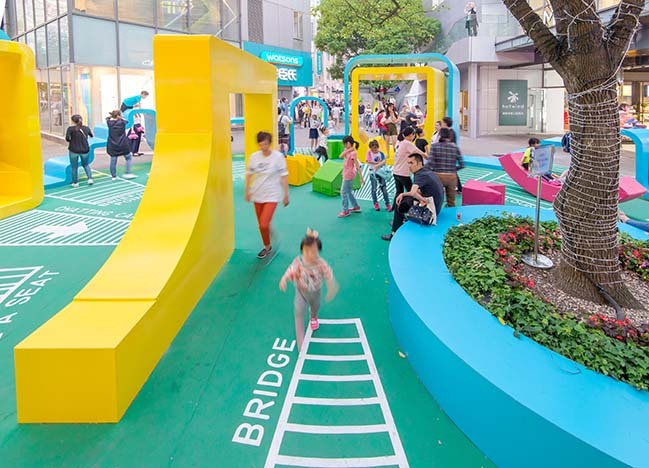 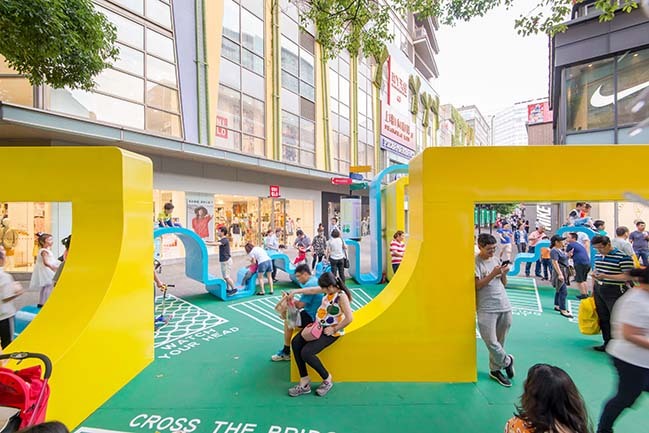 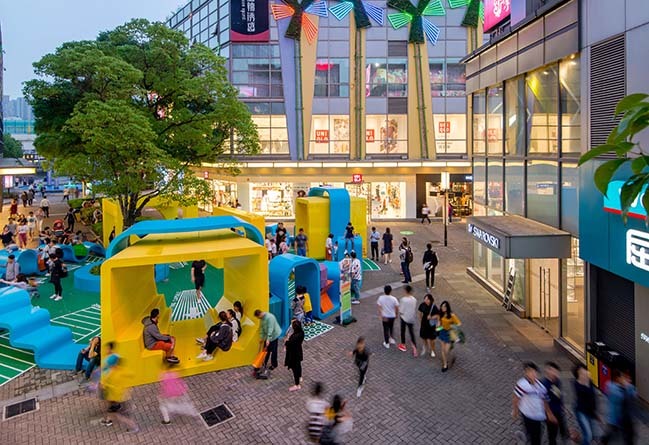 From the architect: Life Hub @ Daning, a 250,000 sqm mixed use development with 110,000 sqm shopping mall, is one of the hottest commercial areas in Shanghai, due to its condition of open-air retail street. 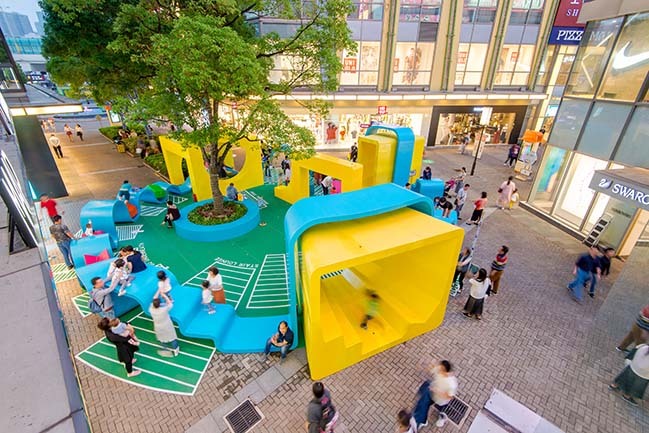 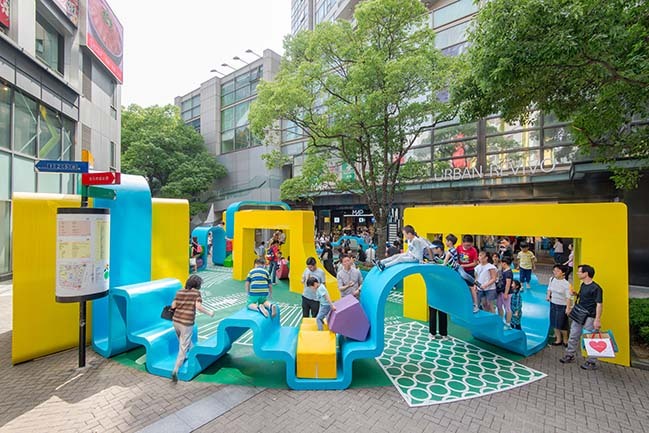 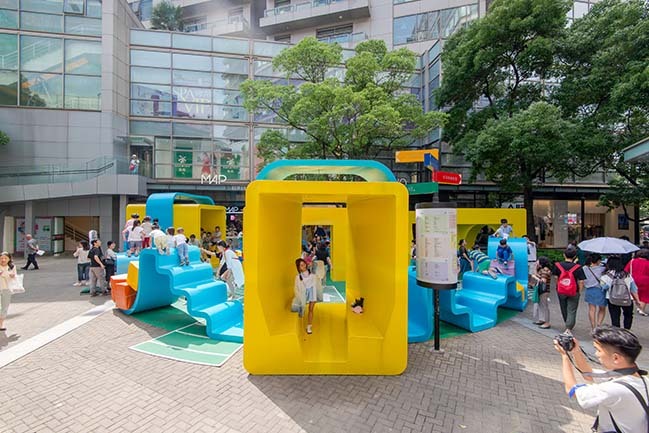 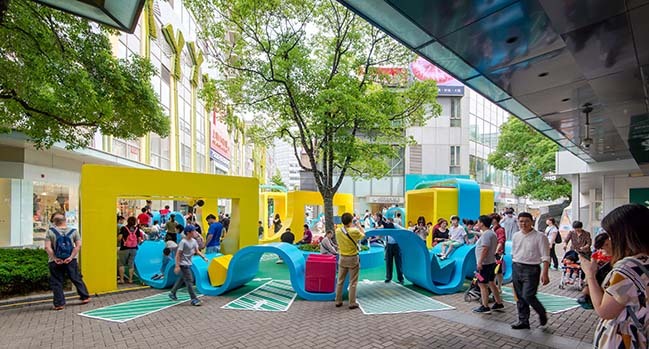 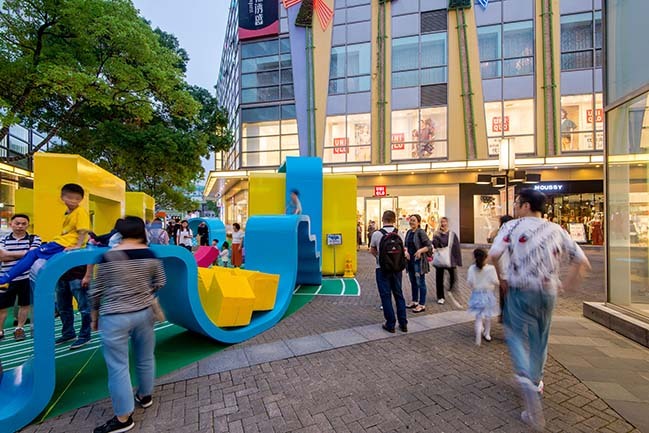 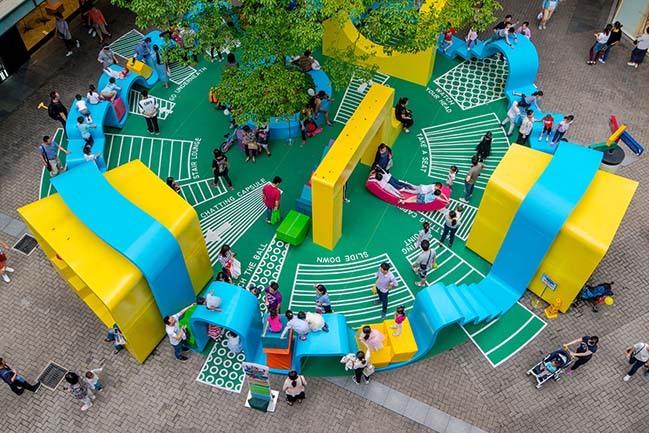 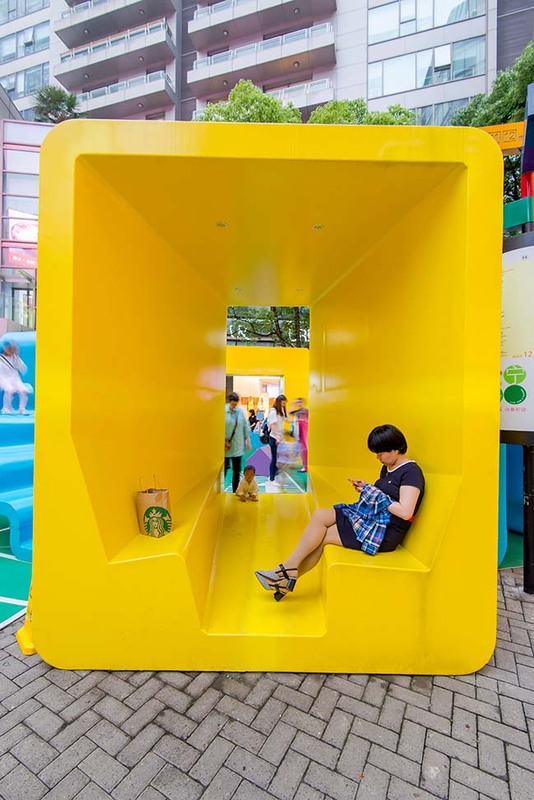 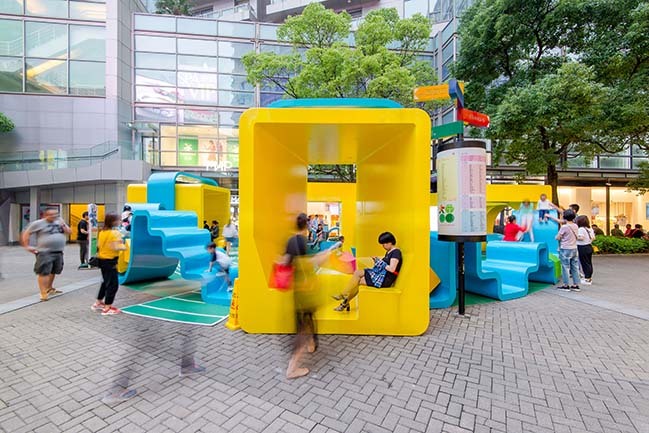 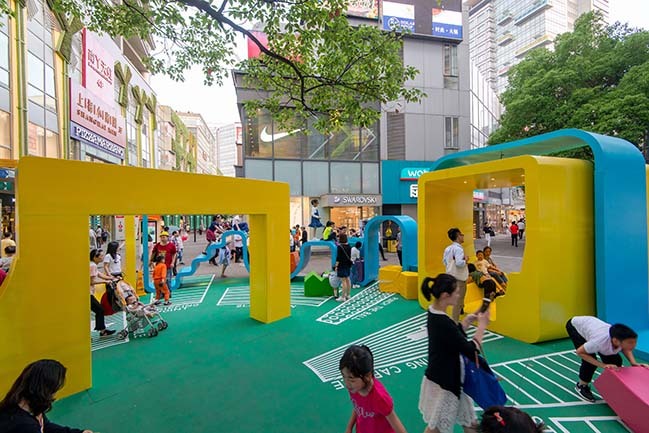 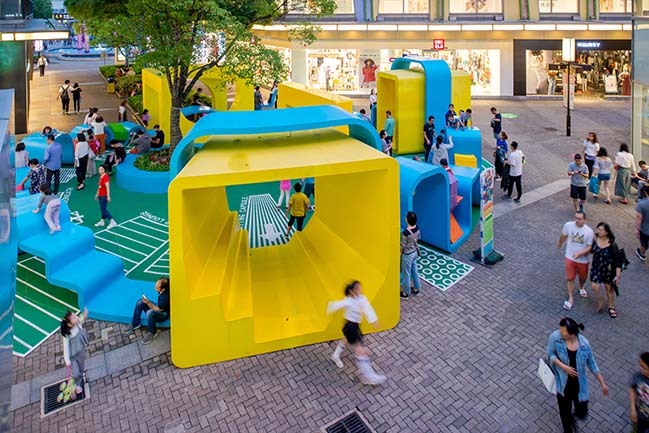 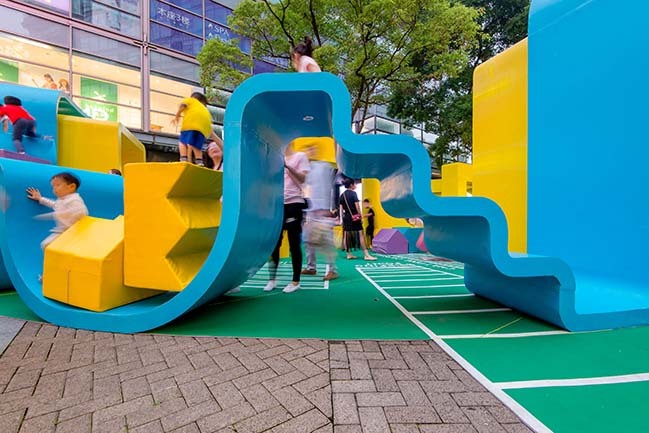 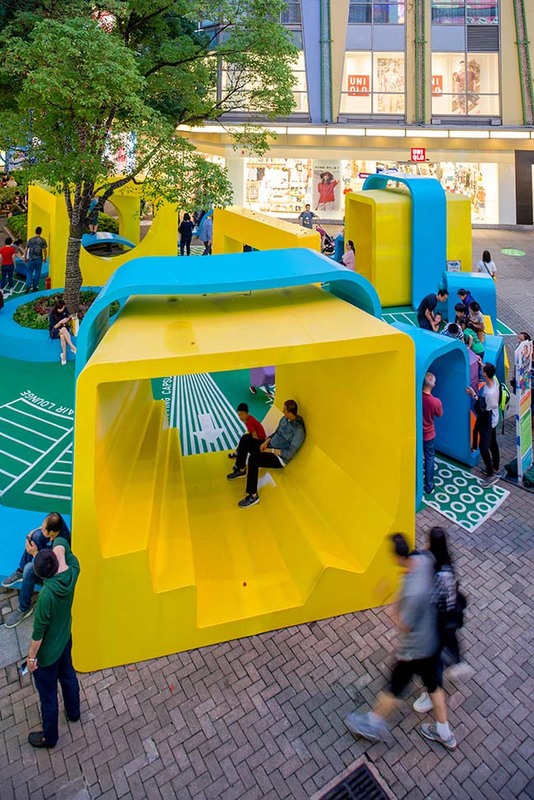 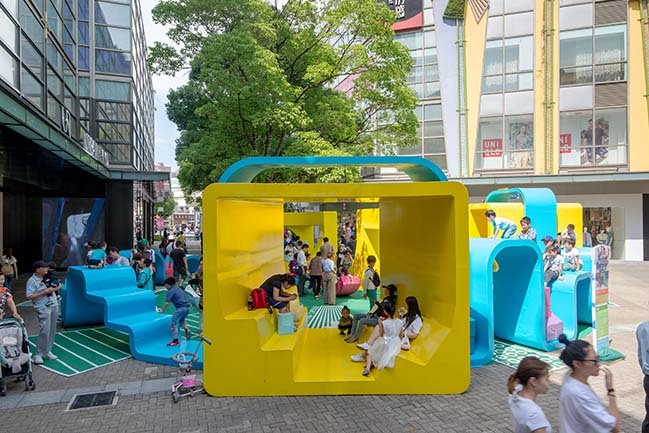 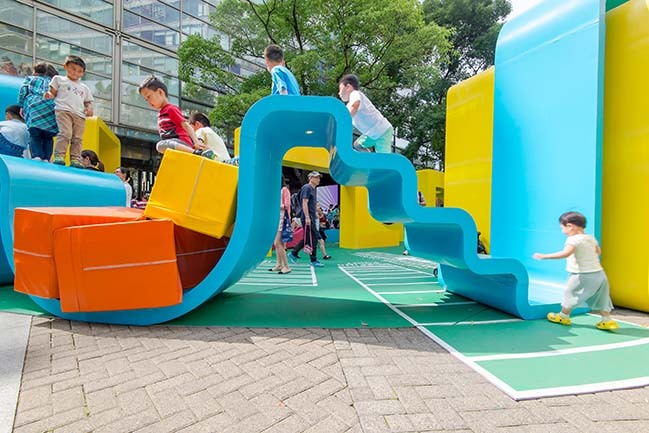 The installation was intended to generate a meeting point for families within a safe and enclosed area. 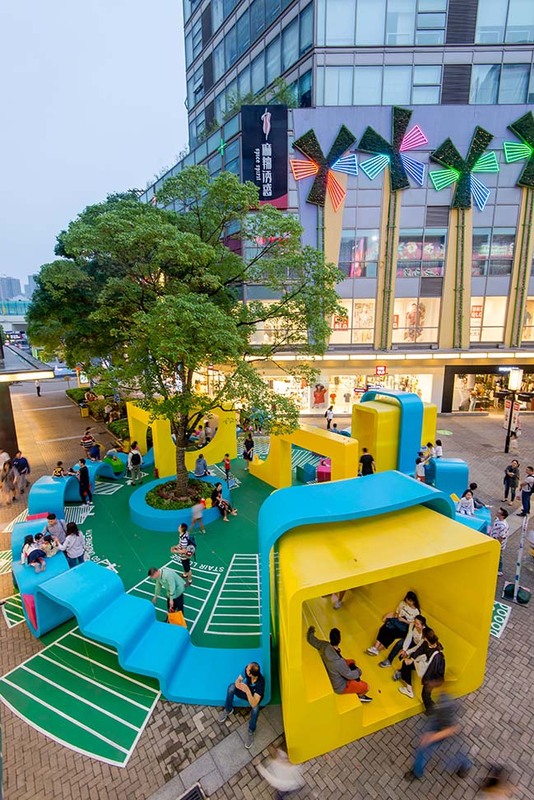 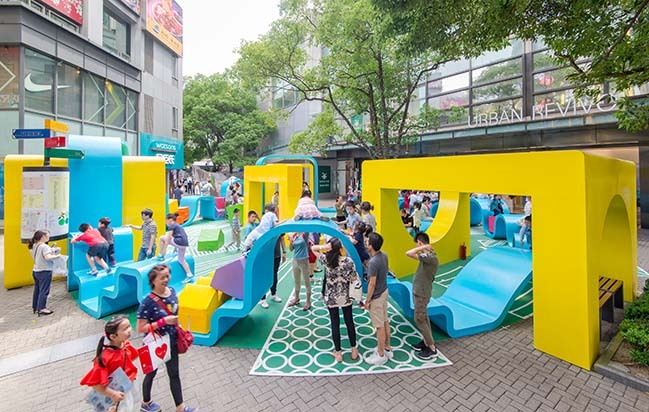 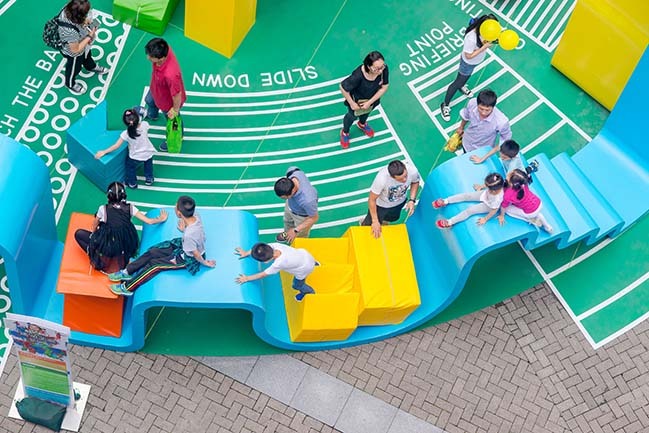 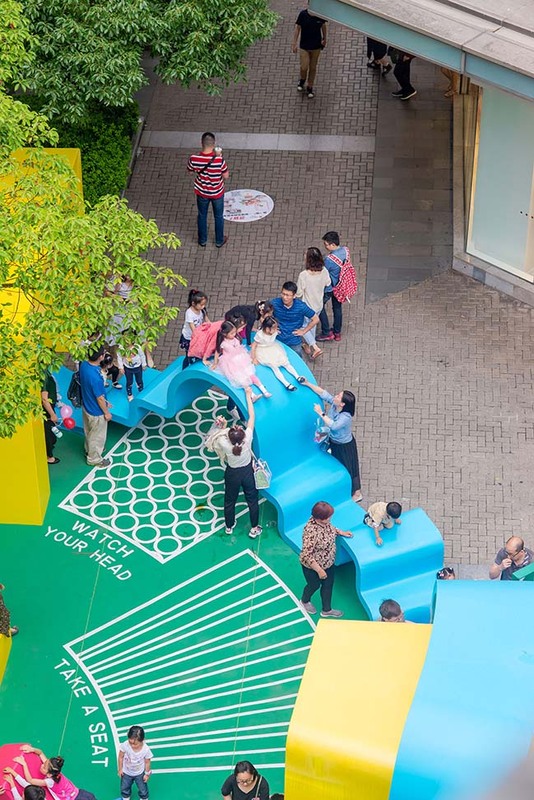 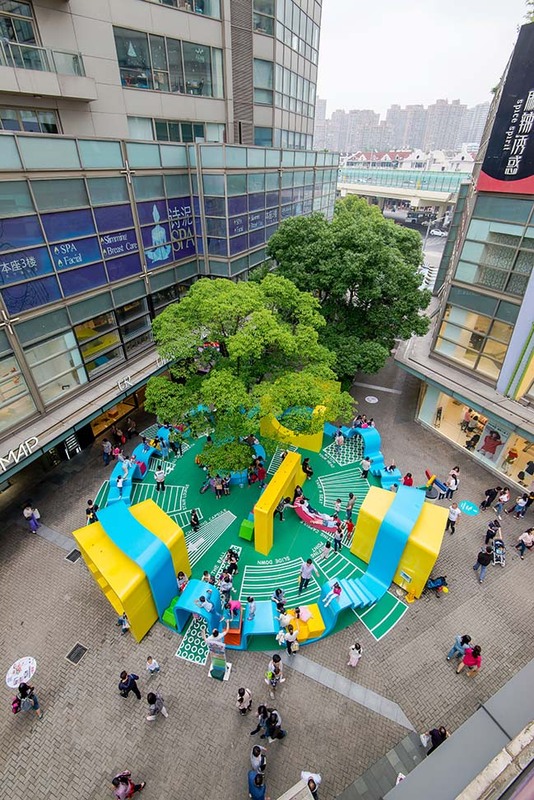 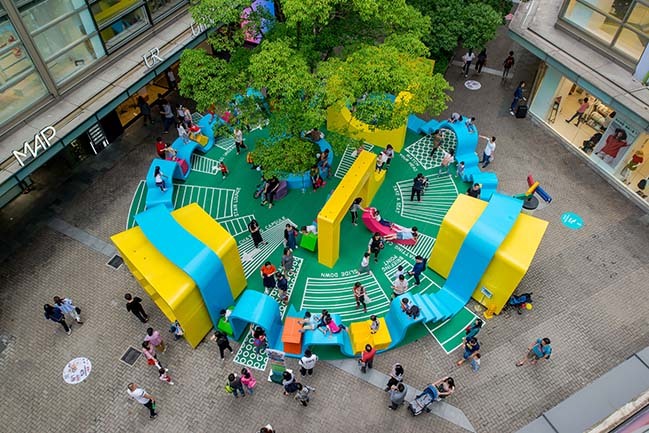 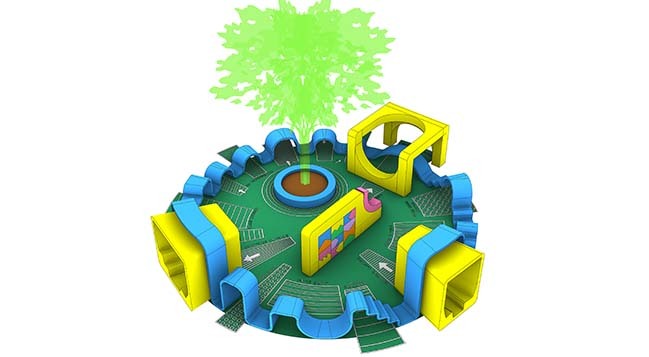 A space for fun and interaction of kids and adults. 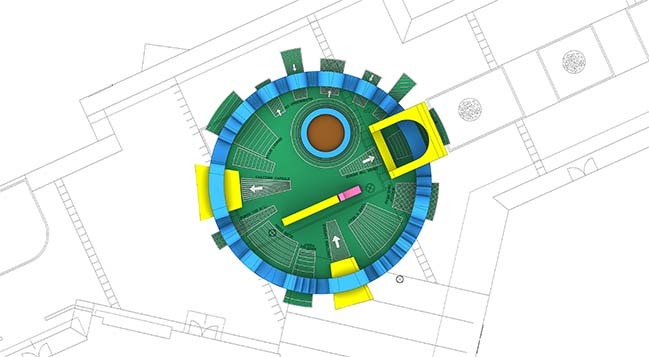 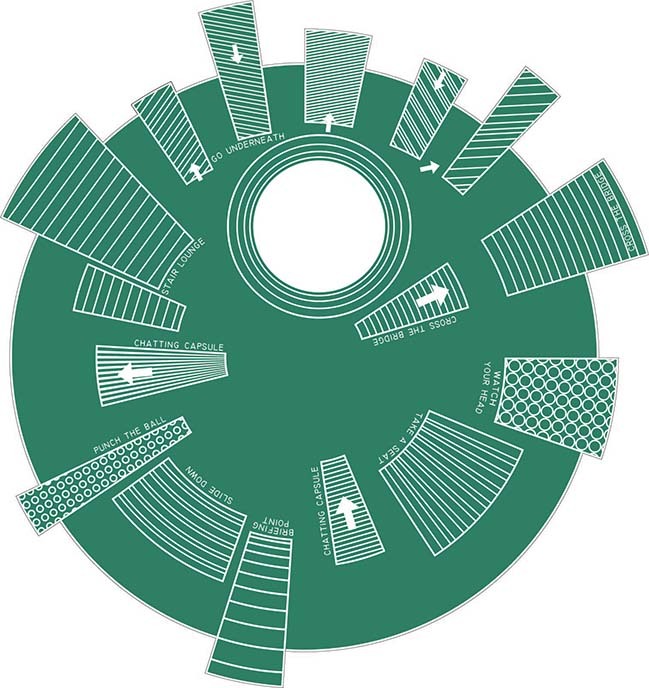 Therefore, the circle was selected as the universal symbolic shape of unity, inclusion, wholeness and perfection. 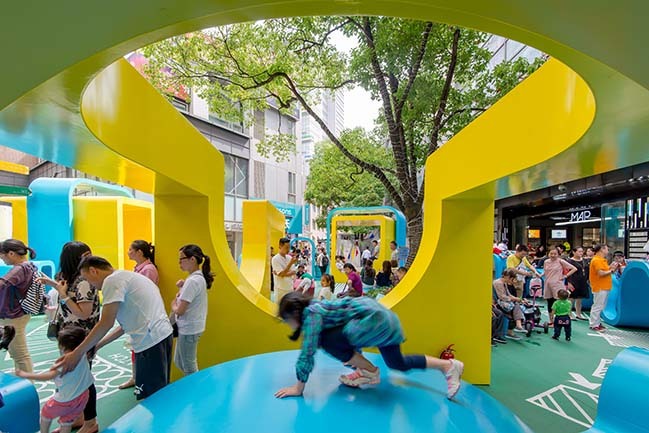 It implies the idea of cyclic movement as a perpetual motion.